While the hibiscus is commonly thought of to be an ornamental plant chiefly grown for its gaudy flowers, its second most popular use is as a primary source for the ingredients that constitute flor de Jamaica - a type of floral tea that counts the calyx and petals of the plant as among its chief ingredients. 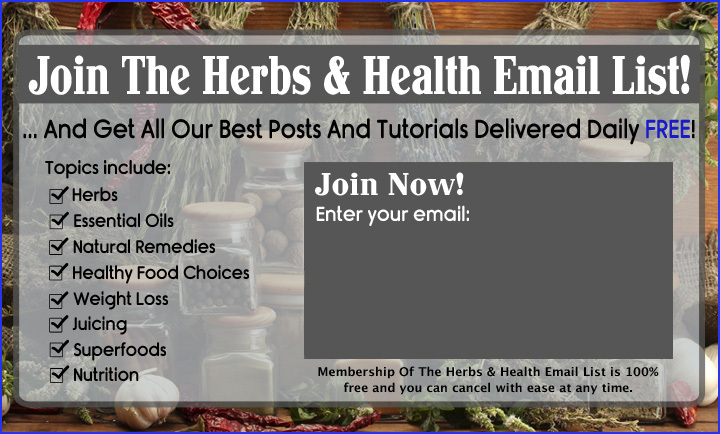 Hibiscus as diuretic: The calyx and petals of the hibiscus flower is commonly dried and used to make a richly hued tea drunk as a mild diuretic. Typically prepared using earthenware pots or enameled crock pots (as it is believed that metal pots will leach away whatever nutrients and therapeutic properties the plant matter possesses), it is usually decocted in either its fresh or dried form, the ensuing liquor typically taking on a rich burgundy or otherwise slightly golden hue depending on the colour of the petals and calyx - although typically, commercially sold hibiscus petals used for tea are usually of the reddish variety, while wildcrafted ones come in a wide range of colours and, in effect, liquor hues. 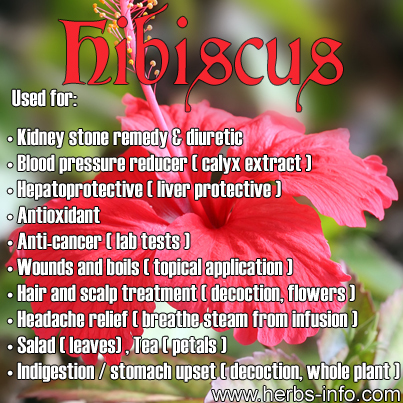 Aside from its use as a beverage and as a foodstuff, hibiscus may also be employed to help treat wounds, boils, mumps and glandular swellings by creating a macerated paste of the petals and applying them regularly to the affected area. For further efficiency, the leaves may also be pounded into a paste alongside the flowers. A faster method to relieve headaches and even congestion of the lungs is to create an inhalant by throwing a handful of dried hibiscus flower petals in a pot of boiling water, or by burning it as an incense - the latter also promoting peacefulness and calm when whiffed. It should nevertheless be noted that consumption of hibiscus tea (from flowers, or from all its constituent parts) should be moderated, with consumption particularly discouraged in pregnant women, as it can be an abortifacient when taken in large doses. Hibiscus is not without its magickal uses, as it is a flower is a sacred symbol in many countries, especially in India, where it is the flower of the dreaded goddess Kali. The flowers are used as offerings to both the goddess Kali, and the elephant-headed god Ganesha. The flowers of the hibiscus may also be burnt as a type of incense, and is said to invite love, promote fidelity, and encourage passionate love-making. In some tribal culture, especially that of Haiti, Tahiti, and Hawaii, hibiscus blossoms is given symbolic meanings in relation to feminine beauty, eligibility, and chastity.